It pains me to say this but the I am putting the Wachowski Siblings on the same shelf as M. Night Shyamalan and Tim Burton – I won’t waste my time and money on your projects again. Let me back up a bit and explain this shelf. I use this space for artist that I used to love but for whatever reason, I no longer connect with their work. M. Night Shyamalan was the first on the shelf. When M. Night broke out with “The Sixth Sense”, I thought we – the film world – had an exciting new voice in the Suspense/Thriller genre. I believe that Unbreakable was a little hick up and he would be back on track any minute. I enjoyed his next film Signs but began to notice a pattern – that his films needed a “shocking” twist. But these twists were shocking but very predictable. After seeing the trailers for “The Village”, “Lady In the Water” and “The Happening” I believed that M. Night needed an intervention. Maybe instead of directing his own work, he need to break out and work with other writers. I am still waiting for that to happen. My issue with Tim Burton is a little more complicated. I really love Tim Burton. He creates these fantastical worlds that are really like no others. My issue with Tim boils down to his frequent collaborations with Johnny Depp. In the beginning, they created some of my favorite works from the ’90s “Edward Scisscorhands”, “Ed Wood”, “Sleepy Hollow.” By the early ’00s the magic was gone, works like “Charlie and the Chocolate Factory” and “Alice in Wonderland” appeared to show both artist coasting on past ideas. [Side Note, I haven’t see any either movie and these observations are based on the trailers alone.] While previous films seemed whimsical and color, these newer films were garish and way over the top. It appeared that the director and actor brought out the worst traits in each other. A friend convinced me to see “Dark Shadows”, while the movie looked great, the plot was tedious and uninspired. While, I have occasionally like Burton films [e.g. “Big Fish” and “Corpse Bride”], other writers were driving force behind the story. Back to the Wachowski Siblings, “The Matrix” changed the movie game! But since then, I’m going to be generous and say there that their career has been spotty. I watched the obligatory Matrix sequels. The “Speed Racer” trailer gave me a migraine. Honestly, I found “Cloud Atlas” intriguing but it was faulty. The Wachowski Siblings are fantastic and building worlds and visual images but character and plot development is a major weakness. “Jupiter Ascending” was a mess. I suspect that the movie was way too long and that the editing of the film made it incomprehensible. The movie was beautiful but the “plot” was paper thin. So, now we get to the final straw “Sense8.” When this project was first announced, I was super excited because J. Michael Straczynski teamed up with the Siblings to build this world. I’m four episodes in and I still have no idea what this show is about. I’m official done. I would let the beautiful of your work fool me again. I need four friends to vet your work before I ever see anything else by the Wachowskis. This entry was posted in Musings and tagged J. Michael Straczynski, Johnny Depp, M. Night Shyamalan, Science Fiction, Tim Burton, wachowski siblings. Bookmark the permalink. 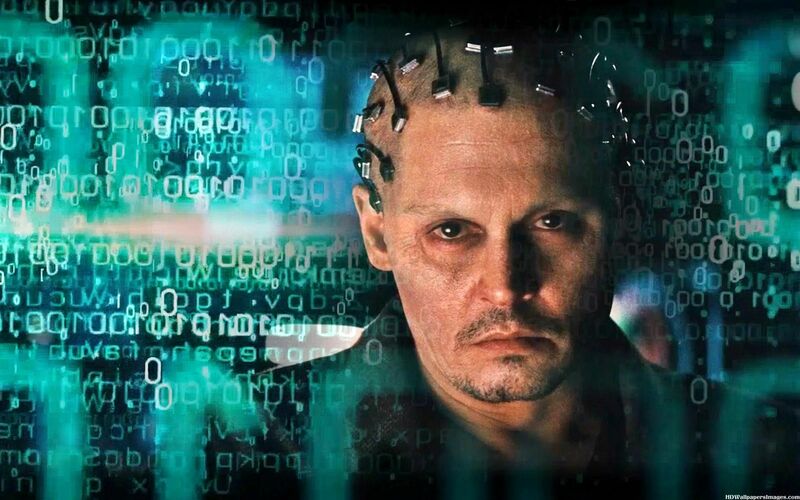 This little sci-fi treat features a serious Johnny Depp as an out-of-the-box scientist trying to upload computers with consciousness. Rebecca Hall (The Town, Frost/Nixon, Closed Circuit), Morgan Freeman and Paul Bettany (The Da Vinci Code & Iron Man series) play his like-minded colleagues until an anti-technology terrorist organization throws a wrench in their plans. In a last ditch effort to test Dr. Caster’s life’s work, his team uploads his brain activity into a computer and waits for the fallout. Transcendence has an interesting plot filled with drama, intrigue and deep thoughts. Whichever character you’re rooting for will greatly depend on how you feel about what’s best for the future of mankind and the role technology should play. This entry was posted in Movies, Reviews and tagged Johnny Depp, Morgan Freeman, Paul Bettany, Rebecca Hall, Sci Fi Movies, Transcendence. Bookmark the permalink.